have to dive into settings any longer to change the UI. It will just happen for you and will save you a few screen taps each morning or evening. 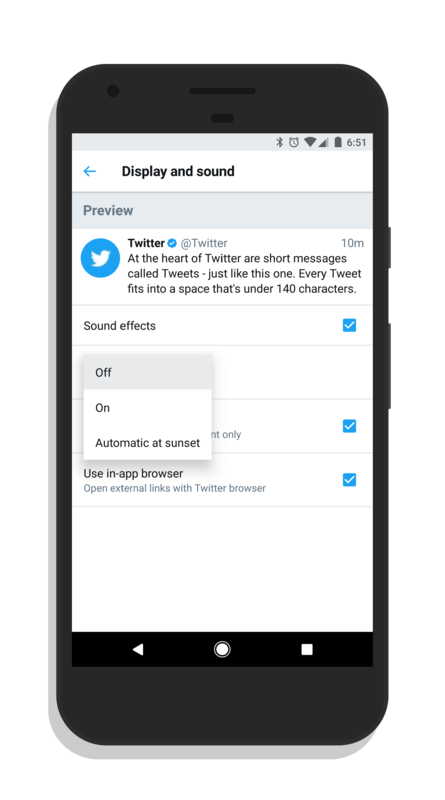 While the banner feature in this update to Twitter for Android is this new automatic night mode, there are also some performance updates as well. It’s a worthwhile update even if the night mode feature isn’t your cup of tea. The update is in the Google Play Store now and should hit devices with the app installed over the course of the next few days.